Description: In 1838, at the age of 18, young princess Alexandrina's life is transformed when she ascends the throne of Great Britain and becomes Queen Victoria. Suddenly finding herself freed of the repressive shackles placed on her by her mother's advisor, Conroy, she builds a new alliance with the charismatic prime minister Lord Melbourne. Description: Lord Melbourne's resignation as Prime Minister leaves Victoria devastated. As Lord Melbourne's popularity in the house wanes, the Tories eagerly await their imminent triumph, while the Duke of Cumberland views it as a chance to prey on his niece's vulnerability. Description: A Chartist uprising in Newport underlines the instability of the monarchy. King Leopold suggests to Victoria that she consider Prince Albert as a possible consort, a development that results in the young queen being surrounded by suitors. Description: Prince Albert arrives in England for the first time, and he and Victoria take an instant dislike to each other in an awkward first encounter. Below stairs, Albert's valet clashes with the royal servants, while Skerrett is visited by a girl in need of money. Description: When Victoria's efforts to secure Albert a settlement are rejected by parliament, both she and her fiance start to fear for their future together. As the wedding draws ever closer and the tension escalates, will Victoria and Albert manage to reconcile their differences in time? Description: Albert feels he needs a greater role in public affairs, and becomes involved in the anti-slavery movement. Victoria matches wills with the Duke of Sussex to see that her husband is granted more respect, while Skerrett faces a dilemma when she realises that the only person who can save her cousin and child from certain death is the man she trusts the least. Description: The queen becomes pregnant, and declares that Albert will become head of state in the event of her death. The developments outrage members of the Tory party, who fear a German prince holding sway over the nation and make arrangements to disrupt his visit to the industrial north. The consort finds an unlikely ally in Sir Robert Peel, who seeks royal approval for the rapidly developing railway. At first, Victoria does not approve, but soon changes her mind when she experiences Peel's creation for herself. Description: A heavily pregnant Victoria is frustrated by both Albert and her mother's attempts to confine her to the Palace. Cumberland arrives in London, hoping that Victoria may die in childbirth, as he is still the heir Presumptive. Determined to show herself in public, Victoria goes for a drive and is accosted by an unhinged admirer, desperate to free her from her ‘German tyrant'. Whilst Victoria is taken aback, she is resolute that it will not frighten her and despite Albert's misgiving, goes out again. Description: Picking up a month after the birth of her first child, the new series sees Queen Victoria surprise the court when she insists on returning to her duties as soon as possible.Having taken charge in her absence, adoring new father Albert decides not to trouble his wife with worrying news regarding the British soldiers in Afghanistan. However, as the reports worsen, Victoria grows increasingly suspicious that he and Prime Minister Robert Peel are hiding something from her.Determined to reclaim her place with characteristic impulsiveness, Victoria brings in the formidable Duchess of Buccleuch as her new Mistress of the Robes and demands that former chef, Francatelli, return to the palace kitchens.Meanwhile, Albert's family descend on the palace for the Christening of baby Vicky and their dynastic plotting only intensifies Victoria's sense of frustration. Convinced that the truth is being kept from her, Victoria seeks answers from the Duke of Wellington. Description: The queen suspects that her husband is attracted to another woman, and discovers that she is pregnant with a second child - leaving her concerned that motherhood will dominate her life and reign, at the expense of any other possibilities. Below stairs, new dresser Cleary thinks that the palace is haunted, but Brodie believes there is a natural explanation for the events that have frightened her. Description: Discontent is growing in the country, and upon hearing the pleas of a silk weaver of Spitalfields, Victoria decides she must help. Against Peel and Albert's advice, she hatches a plan: a fantastic medieval ball at the Palace, where the attendees have to wear costumes made from Spitalfields silk. Description: The royal court celebrates the birth of the Queen's second child, but Victoria alone is unhappy as she struggles to bond with her newborn son. A crisis compels Albert to return to Coburg, separating the couple for the first time since their wedding. Skerrett makes a disastrous mistake, while Drummond's relationship with Lord Alfred comes under threat. Description: Concerned that the pending marriage of King Louis Philippe of France's son to the Spanish Queen will form a dangerous alliance, Victoria sets sail on her first voyage to the continent in an attempt to deter the wily French King. Description: As news of the horrific famine in Ireland reaches the Queen, Victoria is adamant that her government should be doing more to help. However, Prime Minister Peel is trapped, knowing that to send food to the Irish would destabilise his party and jeopardise his career. With Albert blinded by his trust in Peel, Victoria begins to question her own convictions. Description: After a series of assassination attempts, the queen is forced to seek sanctuary far from the palace. She and Albert travel to the Scottish Highlands, an area that has always fascinated her, but proves to be far from the romantic retreat she had fantasised about. However, travelling incognito gives both the royal couple and their servants a freedom they do not often experience. Description: Albert resents Lehzen's influence over the queen, and fears she is putting the health of their child at risk. The prince also unwittingly creates problems for Peel, who is facing the most important battle of his political career as he takes a stand against the corn laws, only to find that Albert has played into their enemies' hands. When tragedy strikes, personal and political sacrifices must be made. Last in the series. Description: Revolution sweeps across Europe and pressure builds on Victoria with new arrivals at the Palace. Description: Victoria must decide whether to fight the Chartists with force or allow them to present their petition. 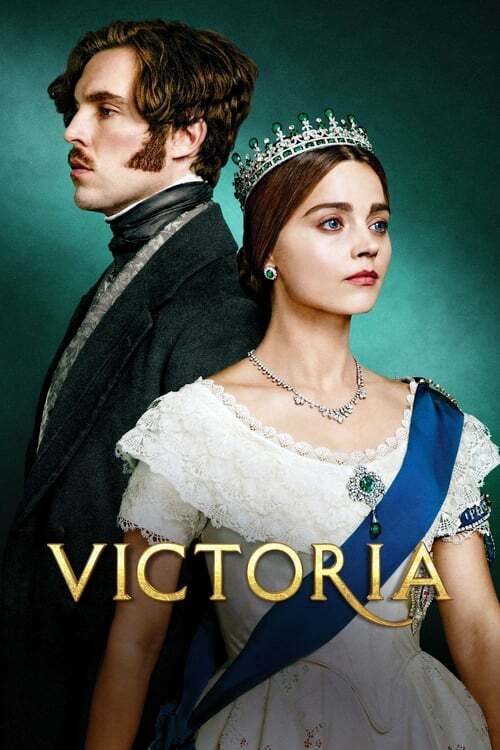 Description: At Osborne House, Albert relishes the opportunity to instruct the family away from London, but Victoria is desperate to get back to the Palace and the business of politics. Description: When Albert leaves the Palace for Cambridge, Victoria faces the traumatic impact of a cholera epidemic on the streets of London. Description: After an assassination attempt, the Royal household visits Ireland. Intrigue, conflict, and romance all blossom during a stay at the Palmerston estate. Feodora is left to her own devices in the Palace. Description: A Georgian ball at the Palace could not come at a worse time as private pictures of the Royal family are made public. Description: Albert and Palmerston put their reputations on the line, and Victoria must fight against her better judgment to decide where to place her allegiance. Description: The world's eyes are on the Great Exhibition, and the Royal couple. Does triumph or failure beckon? Lives will be changed forever as intrigue unfolds amongst the exhibits.